Looking for a high-quality big screened phone? Check this out! 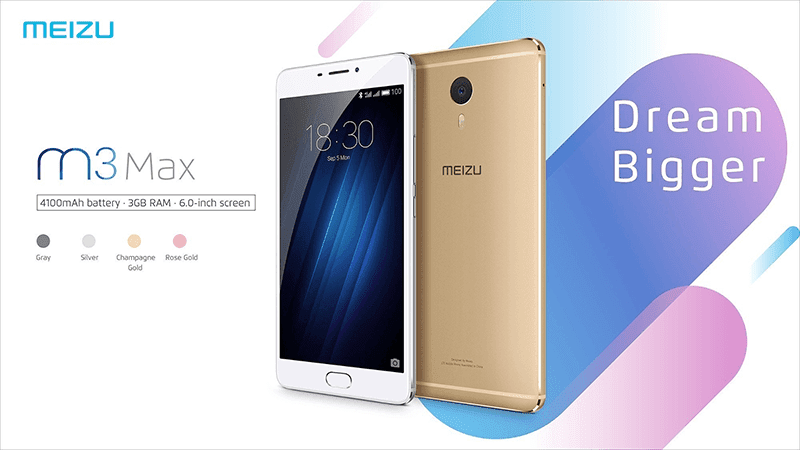 Meizu Philippines has announced the price drop of Meizu M3 Max in some of their local stores. As a quick recap, the Meizu M3 Max is the bigger brother of the M3E which boast a large 6 inch full HD screen on a sleek metal frame. It has the same 1.8 GHz 64 Bit Helio P10 octa core processor w/ Mali T860 graphics and 3 GB RAM, but has a bigger 64 GB of expandable storage and 4,100 mAh of fast charging battery via USB Type C connector. During the sale, the Meizu M3 Max is down to PHP 11,990 at SM Bicutan and SM Bacoor.